Mit Hinblick auf das Ende meines Vertrages als Juniorprofessorin im Frühjahr 2020 gehe ich derzeit keine neuen Betreuungverhältnisse mit DoktorandInnen ein. - As my contract as assistant professor will end in early 2020, I am not accepting new PhD students at the moment. Bitte melden Sie sich möglichst zwei Tage im Voraus per Email an. Wissenschaftliche Mitarbeiterin an der Humboldt Universität zu Berlin am SFB 640 'Repräsentationen sozialer Ordnungen im Wandel im Teilprojekt "Armenien"
This project explores the visual and narrative presentations of non-Slavic groups in the most popular magazine of the time, Niva (Grainfield), which combined colored prints and etchings with texts by acclaimed authors such as Tolstoy, Lermontov, Chekhov and Gorky. The tableaux of empire offered by Niva provides not only an insight into the publishing elite’s ideas about what their readers should learn about the empire, but also about the readers’ access to a larger multiethnic world. This turn to the popular horizons might provide an insight into the imagined communities of the Russian empire beyond the scientific and literary elites that have been discussed in regards to a purportedly distinctive approach to the ‘Orient’ in Imperial Russia in recent years (Layton, Tolz, Schimmelpennick van der Oye). Apricot Socialism. National Past, the Soviet Project and the Imagining of Community in Late Soviet Armenia, in: Slavic Review 74, no.1 (Spring 2015), 9-31. When everything was forever. An Introduction, in: Slavic Review 74, no.1 (Spring 2015), 1-8. A Different Kind of Brothers. Exclusion and Partial Integration after Repatriation to a Soviet ‘Homeland’, in: Ab Imperio 3/2012, 171-211. The Local Reinvention of the Soviet Project. 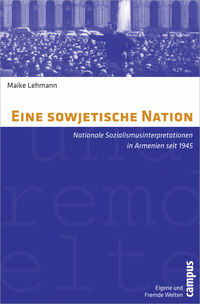 Nation and Socialism in the Republic of Armenia after 1945,” in: Jahrbücher für Geschichte Osteuropas 59, 4 (2011), 481-508. In Wort und Tat. Gewaltordnungen in Nagorny Karabakh, in: Dem Anderen begegnen, 83-107. Gewaltrepräsentationen, in: Dem Anderen begegnen, 55-58. Repräsentationen auf Reisen, in: Dem Anderen begegnen, 109-112. Bargaining Armenian-ness. National Politics of Identity in the Soviet Union after 1945, in: Representations on the Margins of Europe. Politics and Identity in the Baltic and South Caucasian States, ed. Tsypylma Darieva / Wolfgang Kaschuba, Frankfurt am Main/ New York: Campus 2007, 166-189. 'The Sacred Lands of our Motherland!’ – Memory, Myth, and Landscape in Popular Representations of Armenian Identity, in: Mythical Landscapes Then and Now. The Mystification of Landscapes in Search for National Identity, ed. 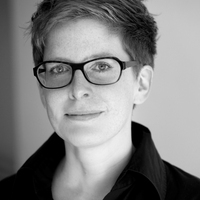 Ruth Büttner / Judith Peltz, Yerevan: Antares Publishing House 2006, 123-149. Reisen als Schock. Vor 40 Jahren wurde der sowjetische Physiker und Menschenrechtler Kronid Ljubarskij exiliert, Archivale des Monats, FSO Bremen, Okt. 2017. Die Gründung der Sowjetunion, in: Sowjetunion I: 1917-1953, Informationen zur politischen Bildung (‚Schwarze Hefte‘), Heft Nr. 322 (2014). Die Utopie des Vielvölkerstaates, in: Sowjetunion I: 1917-1953, Informationen zur politischen Bildung (‚Schwarze Hefte‘), Heft Nr. 322 (2014). 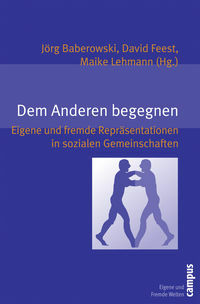 Autonomie der Republiken und Nationalitäten, in: Sowjetunion II: 1953-1991, Informationen zur politischen Bildung (‚Schwarze Hefte‘), Heft Nr. 323 (2014). Nationalitätenkonflikte und das Zerbrechen des Imperiums, in: Sowjetunion II: 1953-1991, Informationen zur politischen Bildung (‚Schwarze Hefte‘), Heft Nr. 323 (2014).